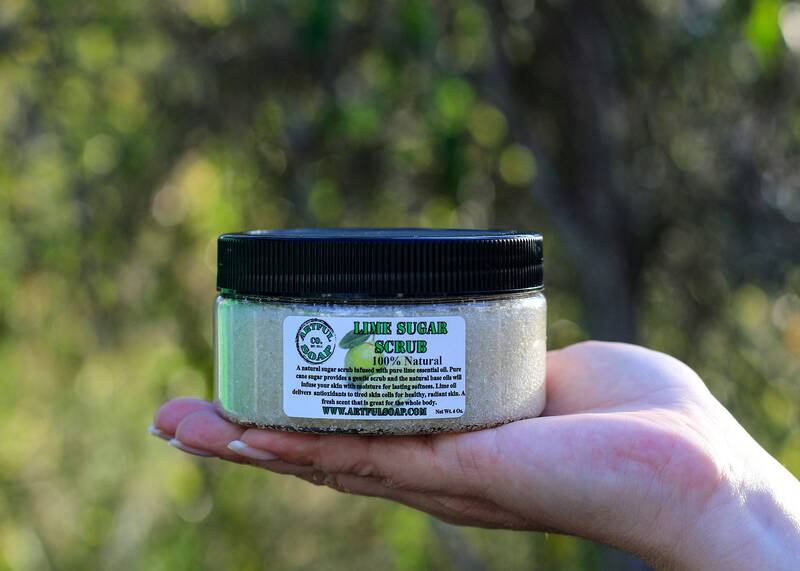 Our lime sugar scrub is the freshest scent we have with just the right balance of sweet and sour aromas. 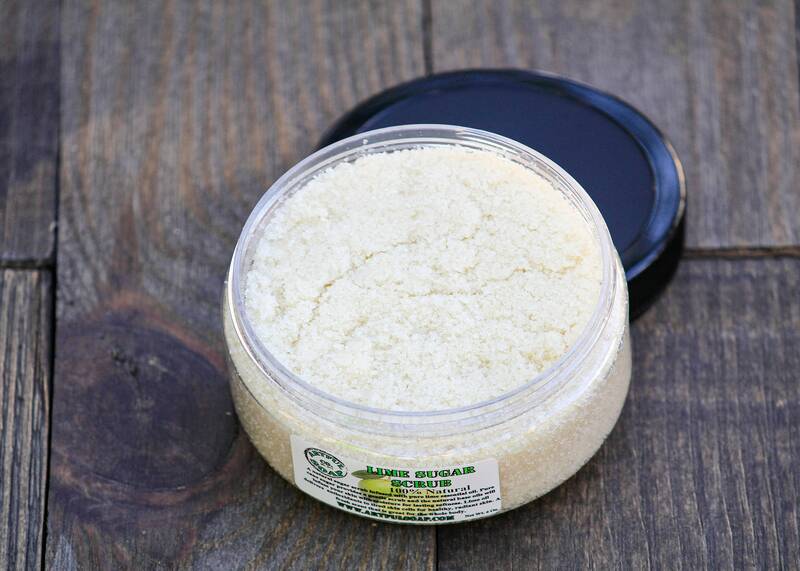 With all the benefits of lime oil, including the antioxidants, it is sure to polish your roughest skin and help repair any damaged spots. 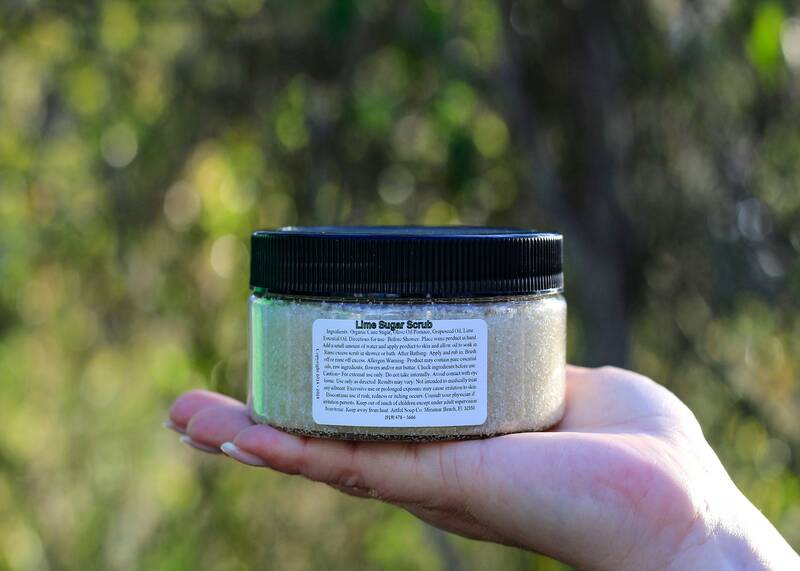 Ingredients: Organic Cane Sugar, Olive Oil Pomace, Grapeseed Oil, Lime Essential Oil. 8 oz. net wt.